Q: How can I export the comments / annotations added to a PDF document into an excel spreadsheet? For example, I want to export all of the measurement annotations so that I can sort them in excel. A: PDF Studio (version 9 and higher) has the ability to export comments into multiple formats including XML which is compatible with Microsoft Excel. 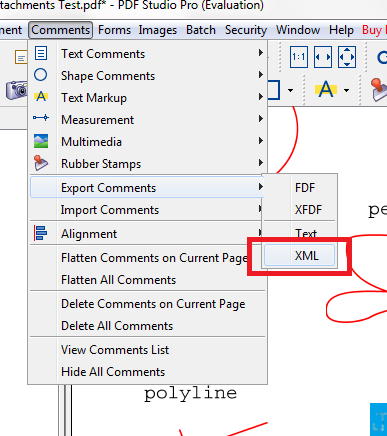 Below are instructions on how to export comments as an XML and viewing them in Excel. Open the document that you wish to export the comments. Select the location that you wish to save the XML file on your computer and then click Save. 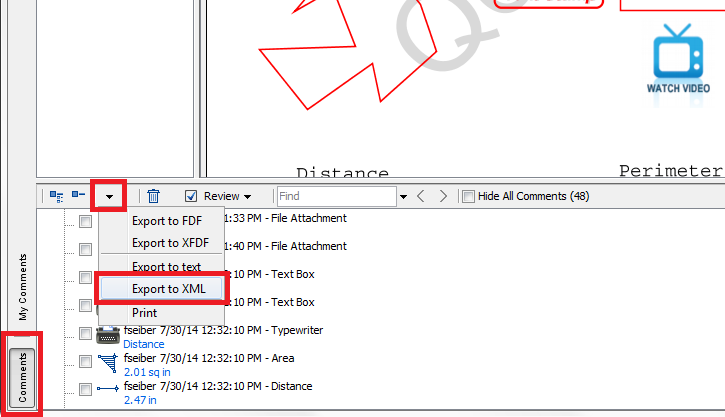 Go to File->Open and then locate the XML Comment export that you created and open the file. 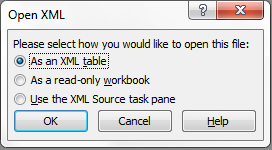 Select the option to open the file as an XML Table. 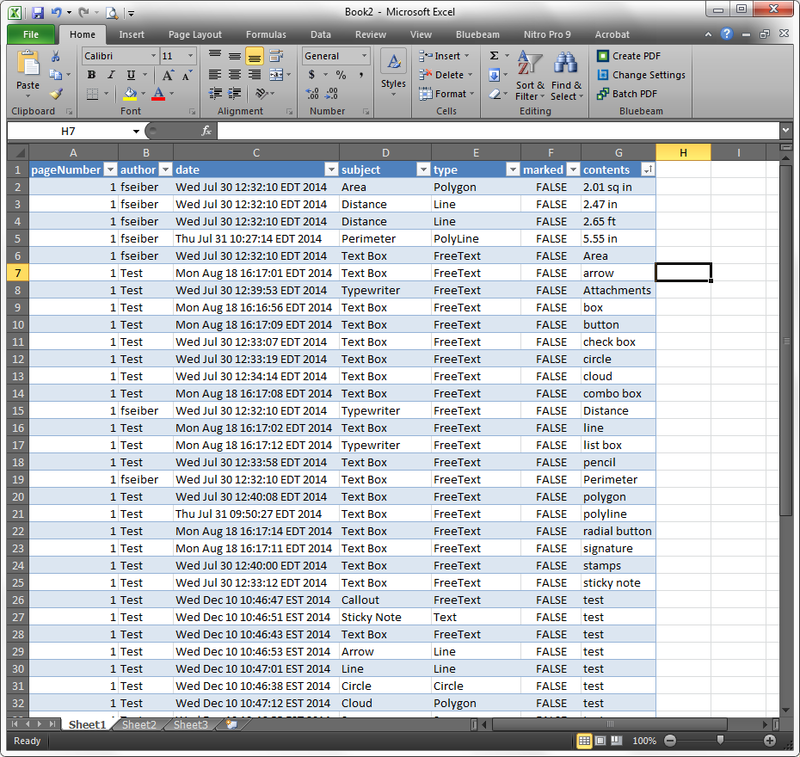 Your comments will then be sorted and organized in Excel and you can continue working with the excel sheet as you normally would.